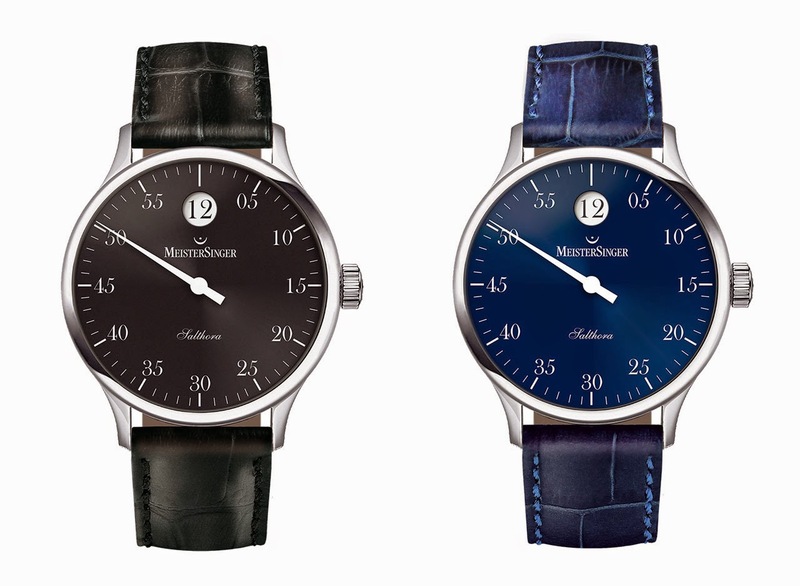 MeisterSinger is well known for its single hand watches where the 12-hour dial is divided by 144 markers, each representing 5 minutes. The combination of the hour markers and bolder 15, 30 and 45-minute markers make it easy to read time. 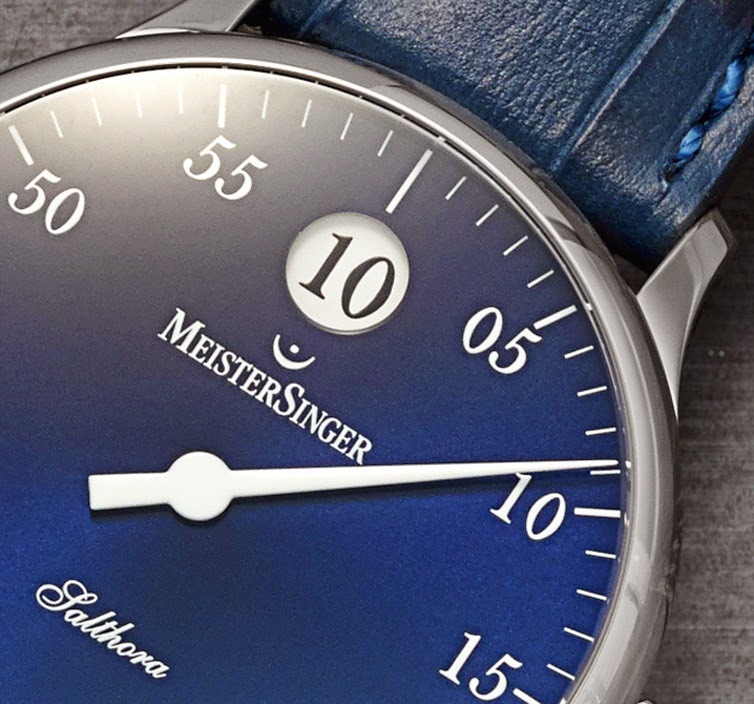 With the new Salthora, MeisterSinger maintains one single hand but in this model it only indicates the minutes. Instead, the hour is indicated using the "jumping hour" display principle through a round window at 12 o'clock. When 60 minutes have passed, the single hand reaches the middle of the window and the next number appears in the window in a flash. A soft tick lets you know the change even without having to look at the dial. 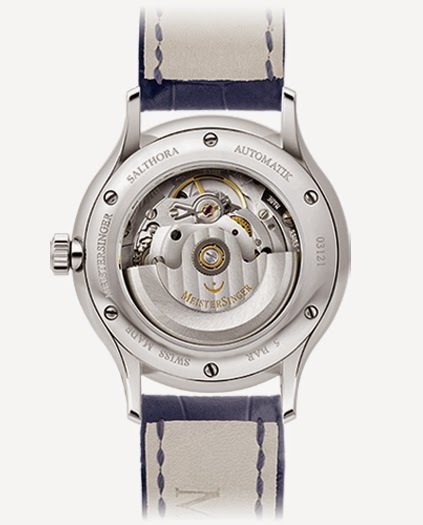 For the Salthora, MeisterSinger developed a module for the Swiss automatic ETA-2824-2 movement fulfilling three main requirements: the jump takes place precisely on the hour, the hour number leaps into the exact centre of the window in the blink of an eye and the force required for this to happen, which is supplied by the same barrel as the rest of the watch movement, does not interfere with the smooth running of the movement. The movement offers a power reserve a 38 hours. The tension for the switching arm of the hour disc is provided over the course of the 60 minutes by a screw attached to the minute wheel; power is therefore withdrawn from the barrel continuously rather than abruptly, and the impact on the movement is only very slight. 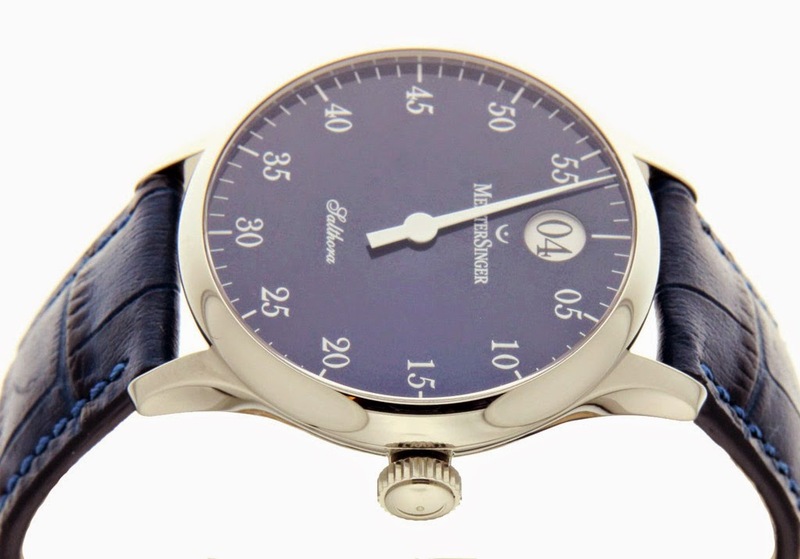 The Salthora has a stainless steel casing with a diameter of 40 millimetres and comes in four different dials: ivory, white, anthracite and sapphire blue. 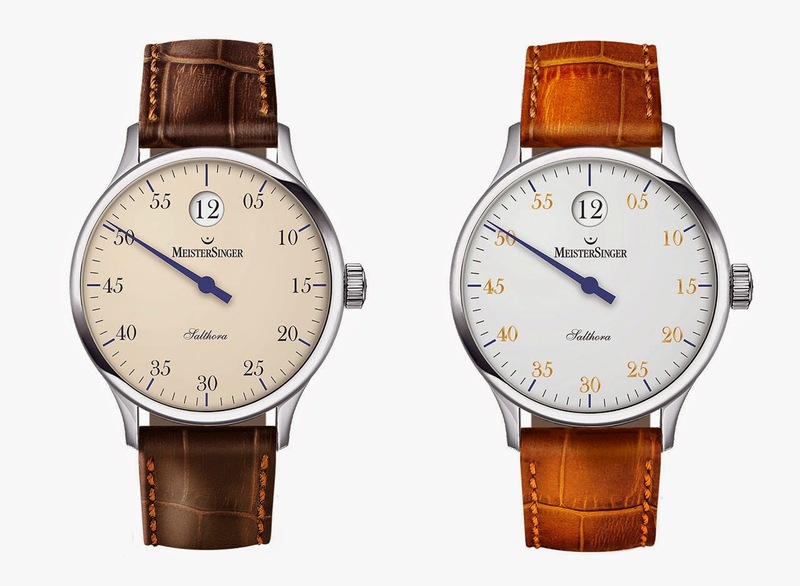 Completed by a calf leather strap with double folding clasp, the MeisterSinger Salthora has a retail price of US$ 3,425 / Euro 2,298. 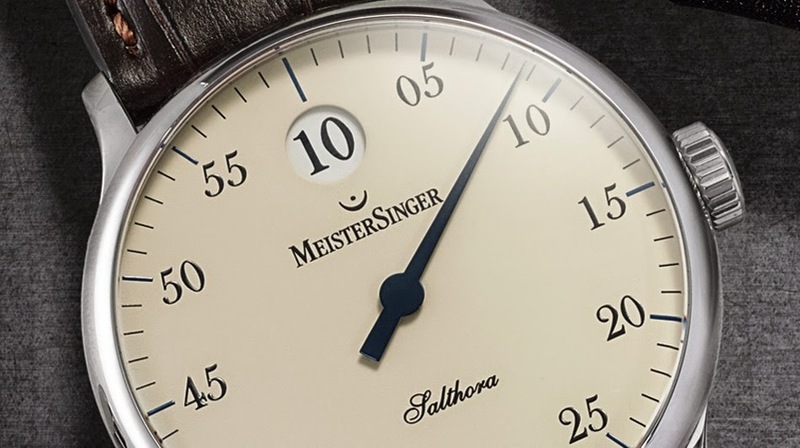 With the new Salthora, MeisterSinger maintains one single hand but in this model it only indicates minutes. The hour is indicated using the "jumping hour" display principle through a round window at 12 o'clock. When 60 minutes have passed, the single hand reaches the middle of the window and the next number appears in the window in a flash. A soft tick lets you know the change even without having to look at the dial. 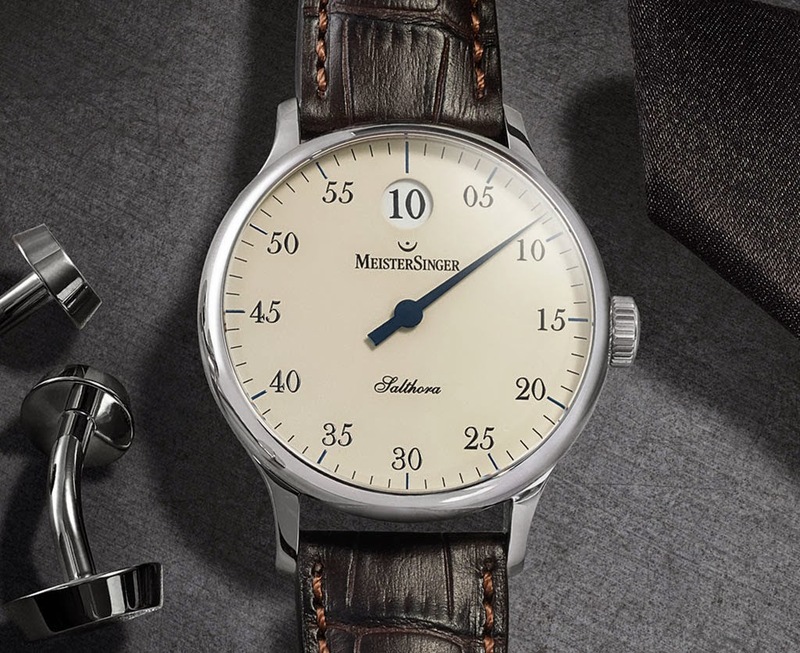 Completed by a calf leather strap with double folding clasp, the MeisterSinger Salthora has a retail price of US$ 3,200 / Euro 2,300.